We have our own artwork studio, networked to our pre-press department, utilizing state-of-the-art CTP processes, based around Dai Nippon Screen’s Trueflow workflow system and Colorbus colour management. 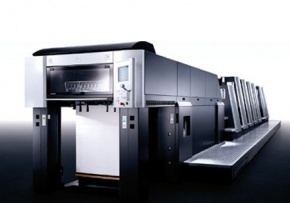 Large-format digital proofers are installed in-house and calibrated to our printing presses. With the productivity gains offered by CTP, we can produce a large volume and variety of quality printing quickly and efficiently. Our Heidelberg Speedmaster XL 75 Five colour plus Aqueous coating unit gives us the power to handle thicker boards and heavier ink coverage, with faster drying and the special look and feel of Aqueous coating. We expect the best from our machinery, so all four of our offset presses are Heidelberg brand—the market leader. Their machines are precise, reliable and of the highest quality. We also enjoy the benefits of their specialist support and maintenance team. 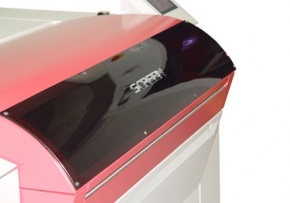 Pressprint’s brand new folding machine raises the bar, enabling new levels of quality and productivity. 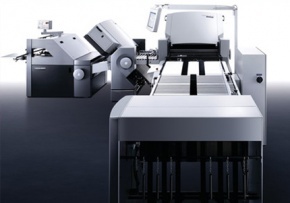 The modular Stahlfolder TH 56 allows us to tackle the most demanding brochure and booklet work, meeting deadlines with greater efficiency and at lower cost. With electronic set-up and an exceptionally quick running speed, the TH 56 makes short work of even the toughest folds.